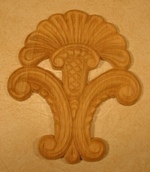 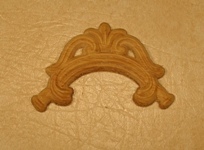 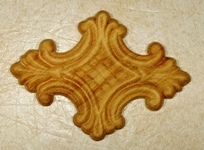 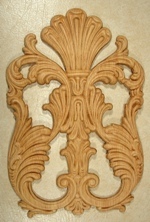 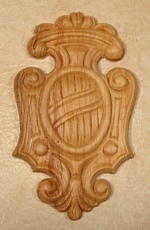 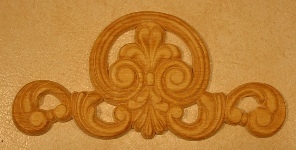 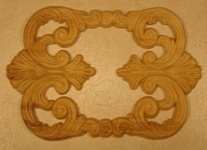 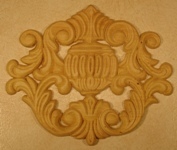 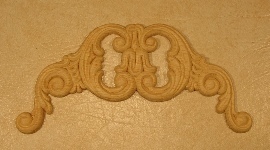 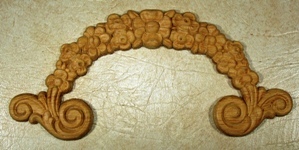 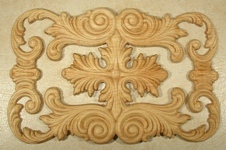 The appliqués are 3/8 thick 3 layer of wood with a veneer face that can be painted or stained to match most any wood . 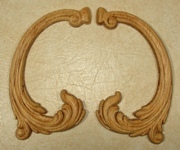 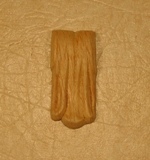 With a natural finish they will look just like oak. 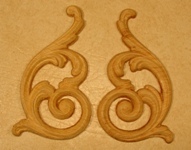 They are for interior use only. 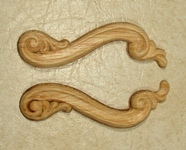 Wholesale prices are available to qualified customers please email us for further information. 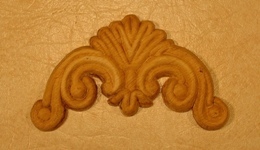 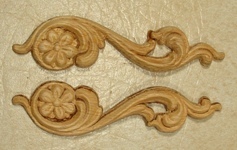 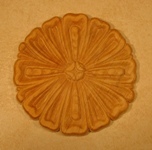 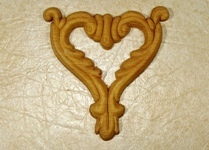 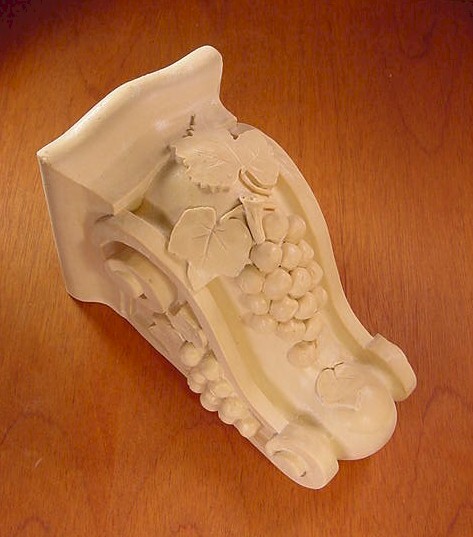 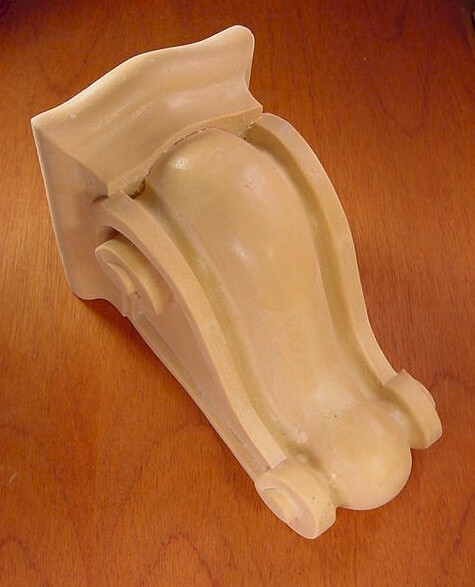 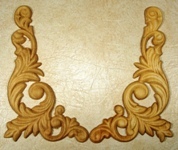 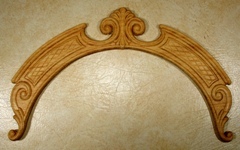 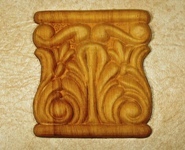 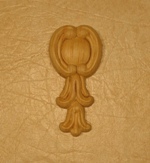 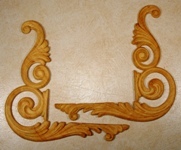 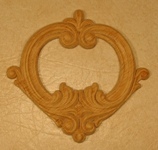 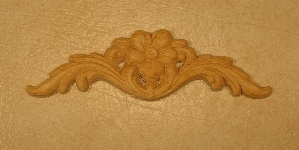 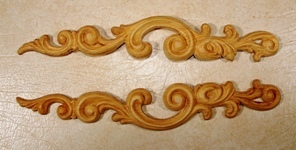 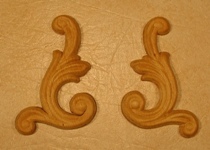 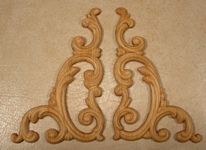 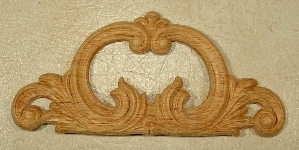 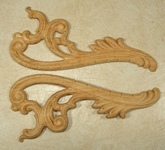 The cast appliques can be painted or stainedwith a gel stain. 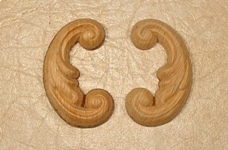 They can be used interior or exterior.